“On August 21st, a 71-year old man hiking the Appalachian Trail, one mile north of Ashby Gap, Virginia, was fatally struck by a falling six-inch tree limb. Our sincere condolences go out to the friends and family. While falling limbs and trees can potentially present a safety hazard to hikers walking on the Trail, the chances of getting struck are extremely low. For backpackers, it is worth noting that care should be exercised when selecting a campsite. Hikers should inspect their surroundings by 100 feet and look up for disease and damaged trees or limbs. Trees and limbs are also more susceptible to falling during a windy day, during a flood, heavy snow, or other unusual conditions. Friends of the Smokies collected $210,525 in donations Wednesday during its 24th annual Friends Across the Mountains Telethon from hundreds of callers, online donations, and support from sponsors Dollywood, Mast General Store, Pilot Flying J, and SmartBank. The U.S. Department of Agriculture (USDA) Forest Service (USFS) recently announced a new strategy for managing catastrophic wildfires and the impacts of invasive species, drought, and insect and disease epidemics. The U.S. Fish and Wildlife Service is reopening the public comment period on a proposed rule to replace the existing regulations governing the nonessential experimental population of the red wolf under section 10(j) of the Endangered Species Act (ESA). On June 28, 2018, the Service published in the Federal Register a proposed rule that would remove management efforts from existing private lands and instead focus continuing efforts on certain public lands in Hyde and Dare counties, North Carolina. The new proposal is based on a comprehensive four-year evaluation of the northeast North Carolina non-essential experimental population (NC NEP) of red wolves designated under section 10(j) of the ESA. On July 10, 2018, a public meeting was held in Manteo, North Carolina, that drew about 70 people, who shared comments and perspective about the proposal. A 30-day comment period on the proposal closed on July 30, 2018. The Service is reopening the comment period to allow the public more time to review and comment on the proposed rule. Comments already submitted need not be resubmitted, as they will be fully considered in preparation of the final rule. The Service seeks a variety of information in a number of areas including, but not limited to: the NC NEP’s contribution to red wolf recovery; ideas and strategies for promoting tolerance of red wolves on private property outside the NC NEP management area; and ecological, agricultural and socioeconomic effects of the proposed 10(j) rule. A complete list of information the Service is seeking can be found in the proposed rule. 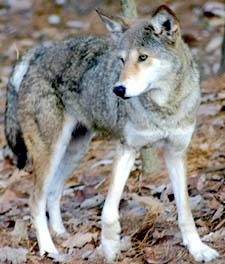 For more information, including a copy of the proposed rule, visit the red wolf species profile. The public comment period for the proposed new rule will be reopened for an additional 15 days beginning August 13, 2018 and will close on August 28, 2018. The Service will accept comments received or postmarked on or before August 28, 2018. 1. Electronically: Go to the Federal eRulemaking Portal. In the Search box, enter FWS-R4-ES-2018-0035, which is the docket number for this rulemaking. Then, click on the Search button. On the resulting page, in the Search panel on the left side of the screen, under the Document Type heading, check the Proposed Rules box to locate this document. You may submit a comment by clicking on “Comment Now!” Electronic comments should be submitted by 11:59 p.m. EST on August 28, 2018. 2. By hard copy: Submit by U.S. mail or hand-delivery to: Public Comments Processing, Attn: FWS-R4-ES-2018-0035, U.S. Fish and Wildlife Service, MS: BPHC, 5275 Leesburg Pike, Falls Church, VA 22041-3803. All comments are posted on regulations.gov, including any personal information you provide. To increase efficiency in downloading comments, groups providing comments from large numbers of people should submit their comments in an excel file. Most encounters are at places where the public repeatedly camps in the general forest rather than at campgrounds that are equipped with bear-proof trash cans. 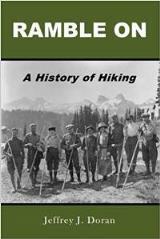 Incidents include bears taking food and backpacks, damaging tents, and staying near inhabited campsites for hours. The Forest Service also asks that you be mindful of your sanitation and hygiene in the back country. Bears locate food sources by smell as well as sight. You can protect yourself and protect bears by storing trash and food in safe locations during your visit. Keep scented items in bear-proof canisters, inside trailers, and in the trunk of a vehicle. Do not leave food or coolers unattended. Never store scented items in your tent, including toothpaste, deodorant, beverages, or snacks. Pick up all garbage around your site, including inside fire rings, grills, and tables and properly store with your food or dispose in a bear-proof trash receptacle. This park is chock full of natural resources. But how can you find quick information about them? Well, Resource Management staff along with partners from Western Carolina University have collaborated to write the park’s Natural Resource Condition Assessment (NRCA). It documents current conditions and trends of the park’s natural resources, lists information gaps and identifies factors that are influencing the condition of our natural resources. The report assesses 52 natural resources using the most recent data and best available science. The Chimney Rock section of Chimney Rock State Park closed to the public yesterday, August 6, when the N.C. Department of Transportation began work to restore a one-lane washout on the main entrance road in the park. The park was closed in late May when heavy rains from subtropical storm Alberto caused a portion of the road leading into the park and a retaining wall on the upper parking lot to collapse. The park was closed for nearly two weeks at that time while state park rangers, Chimney Rock Management associates and contractors worked to clean up fallen trees, power lines and mudslides along the road and trails. The park reopened to guests Saturday, June 9. Since that time, staff have had to direct visitors through the one-lane area where the road collapsed. N.C. Department of Transportation maintenance crews from Rutherford County will perform an emergency slide repair in the state park. Officials expect crews will need at least 10 days beginning Monday to rebuild the road. This project will restore both lanes of Chimney Rock Park Road when completed. Work to fix the retaining wall on the upper parking lot is still in the planning phase. No timeline for this project has been announced. For the latest updates and news about the park reopening, visit ChimneyRockPark.com or call 828-625-9611. You probably must have heard that more and more countries around the world adopt the electronic visa system. What does that mean? It means that instead of going to an embassy to apply for a visa, you can get one online. Generally, the process is entirely online, and it can save you a lot of time and effort. However, many of you have no idea where to get started. Do you do a simple Google search to find the best service? Or do you do some research on the matter and find the best online visa service? The choice is yours, but the best course of action is to always do your homework. One of the best things about online visa services is that the requirements are easy to meet. You do not need a lot of documents. Most countries require only a valid passport. Of course, visa policies differ from state to state, but any online visa service will let you know precisely what you need. Even so, an embassy will always ask more, which is why most people who travel choose to apply for an electronic visa as opposed to going to an embassy. It is pretty clear why. Another reason why people choose an online visa service is the lack of effort it implies. Getting a visa is effortless. Once you see that all the requirements are met, you can just fill in an application form online and be done with it. Usually, such an application form can take up to 20 minutes to complete, but that is only if the form is accompanied by a personal questionnaire. If not, you can break that time in half. Plus, the application is unambiguous, there is minimal information necessary, and in case you need assistance, most online visa services provide 24/7 support. What about the processing time and cost? Everything that happens online is fast. That is the basic rule of the thumb. It is the whole beauty of the internet. Electronic visas are no different. There are services out there that give you multiple choices when it comes to waiting time, and sometimes, your visa can be available in less than 24 hours, which is something unheard of if you apply through an embassy. Of course, it depends on the country issuing the visa, but even so, getting a visa in only a few days is something to be desired, don’t you think. As for the cost, you would expect electronic visas to be expensive. After all, you basically hire someone else to apply for a visa in your stead. You just provide the necessary information and documents, and a third party submits your application to the issuing authority. As you can imagine, the cost is higher when you apply online than when you go to an embassy, but not by much. Plus, some people need to weigh in their time and effort in the equation. If you do that as well, you will see that you actually lose less and win more. After all, how much money you lose if you need to go to a consulate on a work day and need to take a trip there? Surely you can see the point. As for a precise cost, that depends on the country you request the visa for. Not all services come with the same fee. You would think that there is much more to tell about electronic visas, right? But there is not. That is pretty much it. It is a growing system with more and more countries joining every year. We would like to believe that in a few years all states will include the e-visa in their visa policy. That way embassies will become obsolete as far as visas are concerned. Wouldn’t that be a treat? Community members from across Western North Carolina gathered for the inaugural Smokies Stomp Barn Party in support of Great Smoky Mountains National Park (GSMNP) on Saturday, July 21st. The event raised more than $60,000 to fund park projects and featured a ‘fund-a-cause’ for Parks As Classrooms, which provides hands-on curriculum-based environmental education programming for thousands of WNC schoolchildren. The Smokies Stomp Barn Party is held in Fairview, NC at Hickory Nut Gap Farm and is presented by Wandering Rose Travels and Webb Investment Services with support from Blue Ghost Brewing, Merrill Lynch, Beverly-Hanks, Biltmore Wines, Blue Ridge Printing, Wilcox Travel and Tours, Insurance Service of Asheville, Navitat Canopy Adventures, Roberts and Stevens Attorneys at Law, White Labs, Wildland Trekking, Dan and Deener Matthews, Chase and Clary Pickering, Rob and Meridith Powell, and Jim and Jan Hart. Shenandoah National Park will celebrate our connection to the universe during the third annual Night Sky Festival August 10-12, 2018. Park rangers, National Aeronautics and Space Administration (NASA) Solar System Ambassadors, amateur astronomers and a veteran NASA astronaut will be on hand to encourage visitors to value dark skies through a variety of special programs and activities. Programs will take place at Dickey Ridge Visitor Center (mile 42.5 on Skyline Drive), Byrd Visitor Center (mile 51), Skyland Amphitheater (mile 42.5), Big Meadows Amphitheater (mile 51) and Loft Mountain Amphitheater (mile 79.5). Ranger-led programs will focus on night-active animals, recent discoveries in space, and constellations. There will be opportunities for stargazing, constellation tours, safe solar viewing through a telescope, a planet walk, Junior Ranger activities, and more. Delaware North, the park concessioner, will sponsor presentations by two guest speakers on Saturday, August 11, in Byrd Visitor Center auditorium. Veteran astronaut and space scientist Tom Jones will present “Beyond Earth: Humanity’s Future in Space” at 4:30 p.m. and ”Sky Walking: An Astronaut’s Journey” at 7:00 p.m. NASA Solar System Ambassador Greg Redfern will present a program, “Shenandoah Skies and the Perseids” at 8:00 p.m. and again at 9:00 p.m., before heading out into the Big Meadow to view the night skies and watch for meteors (weather permitting).